Chino Valley located in north-central Arizona approximately 100 miles north of Phoenix, 15 miles from Prescott and a little over 100 miles from the Grand Canyon, is a community known for its abundance of land and vegetation, clean air, unbelievably pure water (provided almost entirely by local wells! ), add in top-notch choices in healthcare, excellent educational opportunities and an active and innovative business community-- and you have a perfect spot to call home. Chino Valley’s name originates from “Chino” which is the Spanish name for the curly grama grass that you can see all throughout the area. The community is very proud of its vegetation and celebrates their summer harvest annually over Labor Day weekend with a fun, family-friendly Corn Dance and Dinner, which serves as the longest continuous community event in Chino Valley! Granite Creek Vineyards, located right in the center of Chino Valley, is a must-visit in Arizona! Head over here for a tasting of their award-winning organic wine while enjoying some amazing food and entertainment. There are many local shopping centers in Chino Valley, including hardware stores, drug stores, feed stores, as well as a major supermarket. Chino Valley’s neighboring towns offer a more diverse selection of retail stores, including the incredible Prescott Gateway Mall, which is only a quick 25-minute drive. If you love the arts, you're in for a great surprise in Chino Valley! This area is home to three of Yavapai County's fantastic museums; The Phippen Museum can be found just a few miles south of Chino Valley and is dedicated to keeping the heritage, mythology, and spirit of the western art alive and well in Chino Valley. The Sharlot Hall Museum is committed to preserving Native American artifacts, and the Smoki Museum is dedicated to the Smoki People and contains an extensive pottery collection from prehistoric through modern day. Also included are jewelry, kachina dolls and exhibits of local artists. 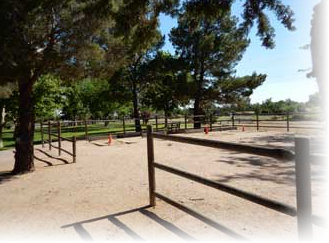 Chino Valley has some of the most amazing weather, with four seasons and over 300 days of sunshine each year, so it is no surprise that the community is filled with outdoor activities. The Community Center Park is the town’s head for all things involving recreation. 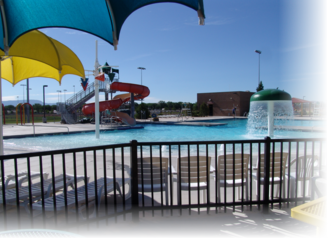 Here you can find a playground, baseball diamond, basketball courts, a large ramada, and a wonderful aquatic center. The Chino Valley Aquatic Park is another community favorite, offering everything from a water slide to lap lanes. Overseeing public education in the community is The Chino Valley Unified School District, which includes two elementary schools, a middle school, and a high school. Additionally, there are is the Mingus Springs Charter School as another option. Higher education in Chino Valley is provided by Yavapai College, which has its Agribusiness & Science Technology Center campus located in Chino Valley. The Chino Valley Public Library is an information base for all things in the town and offers a children’s library, computers, community room, and much more. Yavapai Regional Medical Center and Northern Arizona VA Health Care System located in neighboring Prescott. As well as Yavapai Regional Medical Center East and Mountain West Regional Rehabilitation Center in Prescott Valley. Ernest A Love Field, Prescott’s municipal airport, is only 10 miles south of Chino Valley. Access to Phoenix Sky Harbor airport is available by shuttle service, by catching the shuttle out of Prescott, AZ. Do you want to get away from the hustle and bustle of the city life? No traffic or crowds, just a peaceful coexistence with nature...still having the amenities of today that you hold near and dear to your heart...would that be your idea of the perfect home and lifestyle? 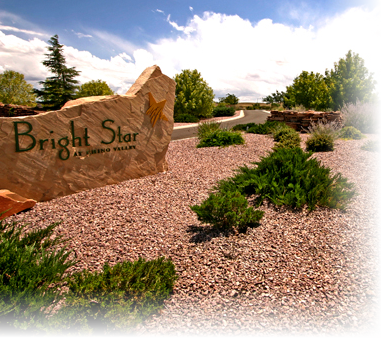 Then Bright Star community may be for you! 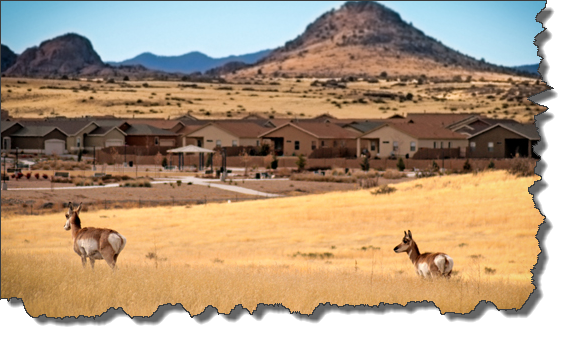 This beautiful neighborhood of perfectly landscaped lots, in the rolling hills of Chino Valley, with 360-degree views, is located just minutes north of Prescott and the fantastic shopping malls, entertainment, and dining options. It's also been ranked as one of the Top 10 Most Desirable Places to Live! Looking to get out of the city life or purchasing your first home? Chino Meadows is an excellent place to start! Homes here are sized to be comfortable, but affordable, yet have the quality needed to be a great investment in the event you decide to "move-up" in the future! The added bonus with Chino Meadows is the awesome panoramic views of the beautiful mountains which surround the valley and make Chino Valley one of the most desirable places to live in the Quad City area! Far north, and peacefully situated, is a friendly, safe and extremely well-designed neighborhood named Quail Ridge. This is one of Chino Valley's first master-planned communities and offers great open spaces, fertile soil, pure water and gentle seasons. 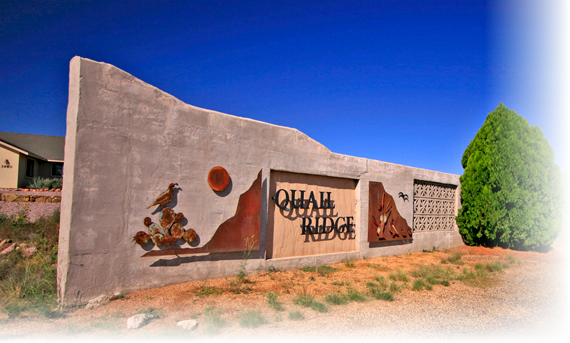 Quail Ridge is convenient to schools, shopping, and medical services, while only a short drive to all the superb amenities of neighboring historic Prescott, AZ. Single Family homes are offered with large lots and fabulous amenities. Learn more about all the amazing neighborhoods available in Chino Valley by calling Joe Karcie or visiting our website.